What does the recent USCIS “Parole in Place” memo mean for family members of military service people? However, if someone wanted to enlist in the military but he or she has family members who are undocumented, the military would not allow the enlistment. According to a spokesperson, “When an applicant shows that his dependents or her dependents do not have proper documentation, that is a red flag to a recruiter that the applicant in this case is harboring an illegal alien.” The unfortunate effect of this policy is that it shuts out a diverse and talented pool of willing, potential service members. A misperception that I occasionally encounter from friends and clients is that marriage to a U.S. citizen automatically leads to citizenship for the spouse. (If it were that easy, I would not be an immigration lawyer. In fact, there probably wouldn’t be any immigration lawyers at all.) One of the (many) steps toward obtaining lawful permanent resident status (or a “green card”) is that an individual must have entered the United States legally and been “inspected and admitted” or “paroled” into the United States by an immigration officer. For those family members of military personnel who did not enter the United States through a designated inspection point, there is some hope. 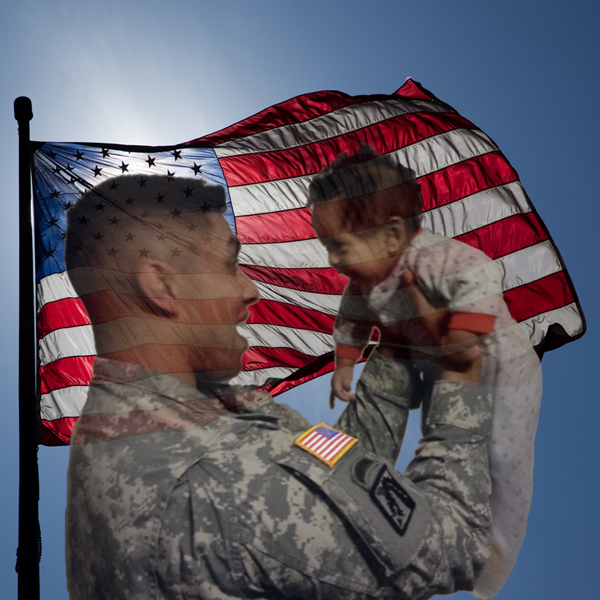 USCIS recently modified its policy regarding “parole in place.” The new policy helps spouses, children, and parents of military members to “fix” one of the barriers toward the legalization of their status. By providing this limited remedy, the government is seeking to alleviate the anxiety felt by military members who may be called into active duty while their family’s immigration status remains in limbo.